These miniature, hardened coniflex straight miter gears are the size of a quarter. 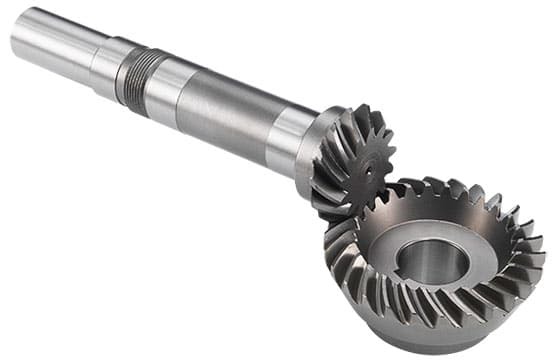 Used in a gearbox application, these gears are capable of handling 1/3 HP at 1800 RPM. The final application maximum speed is 3000 RPM.